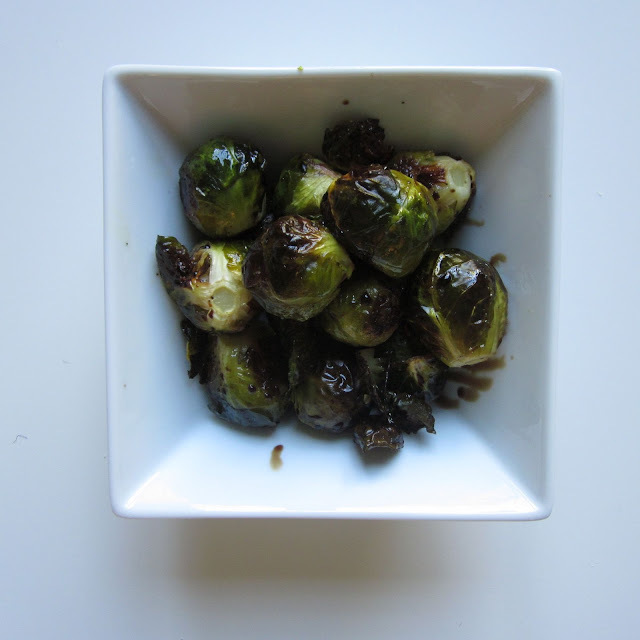 I have so many favorite vegetables, but one of my all time faves are Brussels sprouts. They're packed with Vitamin C, Vitamin A, Iron, Potassium, and Manganese. I like to eat them braised, caramelized, fried, and most often roasted. Roasting them is so easy. You don't really have to do anything except toss them with some oil and salt, and stick them into the oven. I serve them with a drizzle of Vintage Olive's cinnamon and pear balsamic vinegar.